After several exchanges between the above-mentioned schools were carried out on the subject of natural sciences, it was decided to take on a project that would be more beneficial of a more long-lasting nature. The aim of this project is to reconsider the way natural science is taught, as it is our purpose to bring it closer to students and to demonstrate its usefulness and applicability in everyday situations. Students’ abilities and competences are taken into consideration, bringing forth their sense of understanding what scientific approach is about. The main goal is to make natural science a school subject that would not be forgotten upon leaving secondary school, but a useful academic subject where problem approaches and analysis are taught and search for successful solutions are encouraged. The main focus of the project lies in natural science, energy and raw materials, sustainable development, environment as well as climate changes. 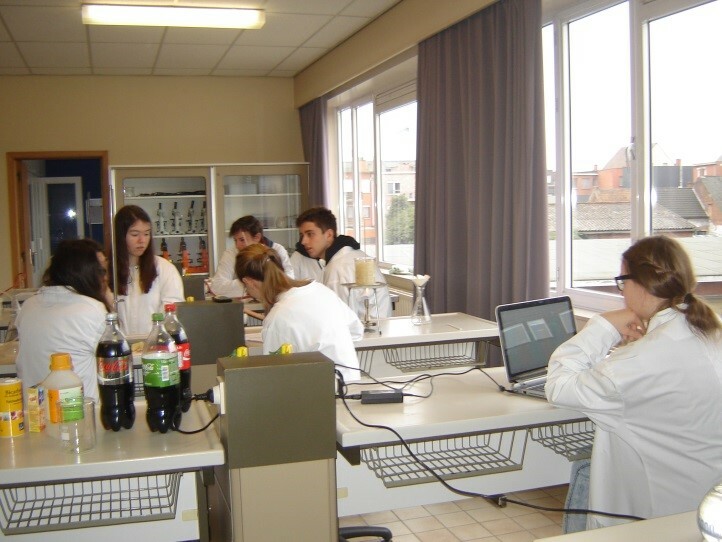 Natural science teachers, laburants and students of the DCG interested in natural sciences are included in the project. The Institute for Education Research and Development, an organization within St. Stanislav’s, dedicated to the continuous improvement of the pedagogical process, assists in the project as well. The project includes several teachers’ and students’ meetings of both partner schools as well as a publication of a brochure. All visits include also learning about the partner school’s country, in particular about its natural and cultural highlights. There are several student exchanges planned in the course of the project. A significant part of the project is the evaluation of classes of natural sciences at both schools, which included the revision of year teaching plans, study of sample classes, and analysis on how students and teachers view natural sciences classes. The document was published in September 2015. Click to browse the study. Both partner school have set up 62 class preparations for biology, chemistry and physics, for natural sciences clubs and classes. It is all about the exchange of good practice examples, ideas and study material. The entire brochure is translated into English, but is also available in Slovene version; the Flamish preparations were translated in Slovene as well. The presentation of the study material is scheduled for June 2nd 2016, when workshops for natural sciences teachers will be organized. Click to browse the brochure. Within the project, three teachers’ meetings from both schools were planned in order to set things ready for the publication of a brochure as well as to prepare practicalities and a detailed content plan of student exchange visits. 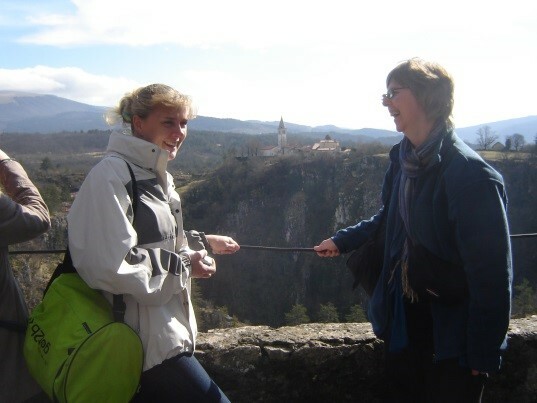 The first meeting took place in June 2015 in Slovenia with two participating Belgian teachers, in January 2016 two Slovene teachers were travelling to Belgium, the final meeting will happen in Slovenia with four Belgium participants in June 2016. Mrs. Snels and her colleague Ms. Roofthooft attended an international meeting on Erasmus+ programme Natural Science for Social Impact in St. Stanislav’s Institution. The first meeting was dedicated to a comparative study on Natural Sciences Classes. Both teachers met with the representatives of InERD (Institute for Evaluation Research and Development) to evaluate the study plans, record lessons, suggesting possible improvements. At a later stage, both teachers discussed the timeline, work done, results achieved and planned the activities for the second project year with the project coordinator. Talks on further preparations of classes for the brochure release followed with all Slovene natural sciences teachers. The first teachers’ meeting was rounded up by a trip to Slovene coast and informal get-together. Nasta Zupančič, project coordinator and teacher of chemistry at The Diocesan Classicla Gymnasium, and her colleague Mojca Lavrič, assistant teacher of chemistry, took part in the second international teachers’ meeting in Sint-Calasanzinstituut in Nijlen, Belgium. Meeting included talks on the development of the brochure publication, which is described in the above post. It was reviewed thoroughly in terms of material, corrections and additions. The time chart was set as well. Besides, all practicalities on students’ activities and the final international meeting of four teachers and two students in Slovenia were discussed. The latter is to take place in June 2016. A part of evaluation work was carried out as well and further cooperation after the finalization of the project were considered. Fourteen Belgian and fourteen Slovene students took part in this exchange. Two educational excursions to Primorska (Littoral) and Gorenjska (Upper Carniola) were prepared for the occasion, when the natural beauties and specifics of both reagions were observed. The students also visited the House of Experiments and the Reactor Centre Jožef Štefan Institute in the vicinity of Ljubljana, where a lecture on nuclear energy was held. In the school the workshops on physics, biology and chemistry were prepared by our teachers. Students got acquainted with the school through a guided tour of St. Stanislav’s Institution, when a special emphasis was placed on recycling, environmental care and outdoor learning. They also learned some basics on Slovenia and Slovene language and visited the capital city of Ljubljana, where the guests were taken on a guided tour, prepared by students themselves. The Slovenes are already looking forward to the return visit in six months. 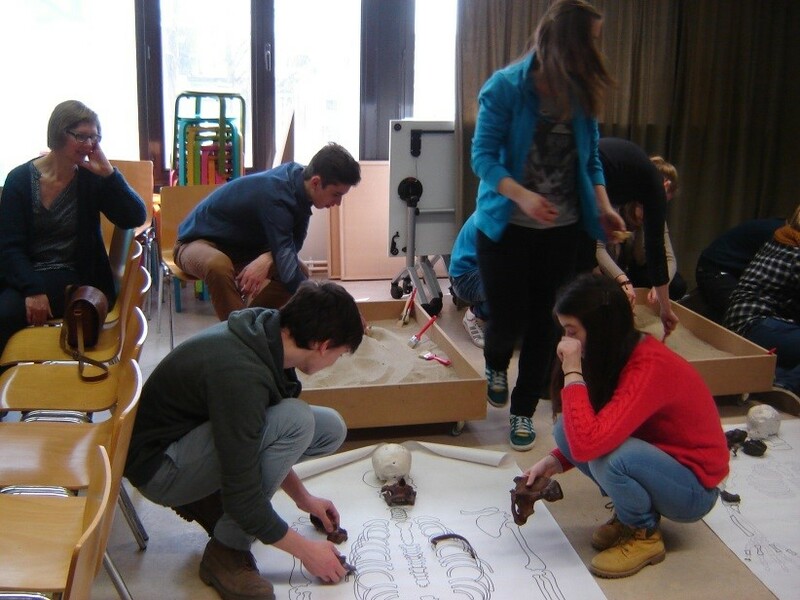 The same students paid a return visit to Belgium, where they had a sightseeing tour of Brussels with a workshop on human evolution in the Museum of Natural History. 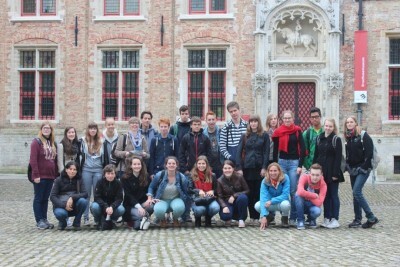 They visited also the cities of Antwerpen, Brugge and the northern sea shores. Of special interests were also a walking tour in the forest in Genk, a visit of the former mining site in Beringen and a guided visit of Kamp C in Westerlo, which is an educational site on sustainable building and living. In school students performed scientific experiments and got acquainted with the Belgian educational system and way of life. Fourteen Belgian students visited The Diocesan Classical Gymnasium with view to exploring some natural science aspects of our school and the country, as well as its cultural and natural highlights. We broke ice first through some introductory workshops in school and then continued the first day with a sightseeing tour of Ljubljana. Even more exciting were the whole day excursions which were to follow, firstly to Primorska (Littoral) with Postojna Caves and Piran with the northernmost salt flats in Slovenia the Mediterranean and secondly to Dolenjska (South Carniola) with the visit of a nuclear power plant, the international generic pharmaceutical company Krka and the Carthusian Monastery Pleterje with its open air museum. The rest of the time was spent in school following the lessons and hanging around with our guests. They all look forward to the exchange in Belgium, which is to take place in March 2016. At the Diocesan Classical Gymnasium, we aimed to reconsider the way natural science is taught, as it is our purpose to bring it closer to students and to demonstrate its usefulness and applicability in everyday life. We wanted to increase the interest in natural science and environment-related contents and this encourage our students to apply for natural science study programmes. We introduced new contents on environmental protection and sustainable development to our lessons. In addition, one of our objectives was to raise awareness about the importance of natural science and environmental protection and thus improve natural science literacy. Moreover, we tried to boost and trigger the use of ICT and other modern approaches in the classroom. The Diocesan Classical Gymnasium within St. Stanislav’s Institution was the applicant organisation and Sint-Calasanzinstituut of Nijlen, Belgium, was the only partner school in the project. Sint-Calasanzinstituut is a relatively small school with both grammar and technical school. Both schools have been cooperating with each other for several years. However, this project strengthened the cooperation between them. The main objective of the project was to improve and enrich natural science classes, develop problem-oriented approach, encourage independent and research work of students, acquire long-lasting and useful knowledge and develop critical thinking. Another objective was to exchange good practice. Throughout the project, we designed new natural science units (chemistry, biology and physics) and compiled them into a brochure. In addition, we wanted to raise the interest in natural science by encouraging students to participate in extracurricular projects. We cooperated with Društvo Planet Zemlja (Eng. Translation Planet Earth Association) and our students had an opportunity to participate in their projects. Another important objective of the project was to strengthen social links by taking part in student exchanges. Communicating in English, comparing school systems of both countries, comparing environmental protection policy, becoming familiar with natural and cultural heritage of another European country are examples of learning outside the classroom. Last but not least, the project also aimed at improving and strengthening the cooperation and links between natural science teachers and lab workers of both schools. A significant part of the project was the comparison of natural science syllabi of both schools. For this part of the project, Institute for Education Research and Development that works within St. Stanislav’s Institution offered great help. 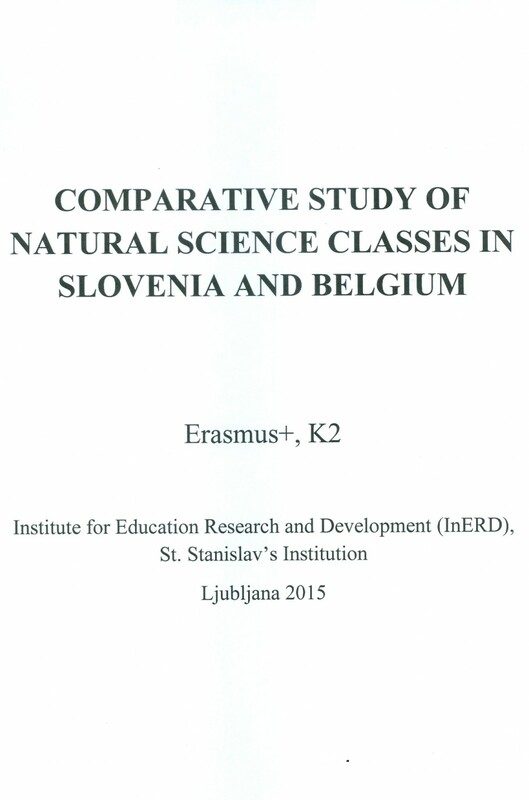 After recording selected natural science lessons at both schools, preparing questionnaires for students and teachers and analysing the results, the so-called Comparative Study of Natural Science Classes in Slovenia and Belgium was published in 2015. This study was the basis for the evaluation of the state of affairs and for critical reflection. The next step was to prepare a brochure for natural sciences classes or clubs. 10 teachers of both schools were involved in this work. The brochure consisting of 62 biology, chemistry and physics learning units was published in English (80 copies) and Slovenian (50 copies). Both the brochure and the above-mentioned study are available online at http://en.stanislav.si/international-cooperation/international-projects/natural-sciences-for-a-social-impact-nassi/, http://www.stanislav.si/mednarodno-nassi/predstavitev-rezultatov-erasmus-ka2-projekta-nassi/. Student exchanges were a very important part of the project. The first exchange was held in October 2014 when 14 Belgian students and 2 teachers came to Slovenia for 8 days. The students stayed in families. 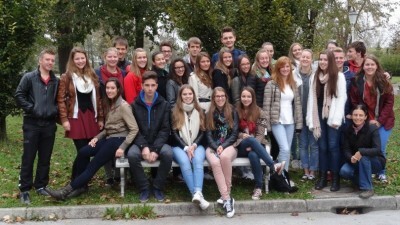 A group of Slovenian students returned their visit in March 2015. In October 2015 and March 2016, another two exchanges took place with different students involved. 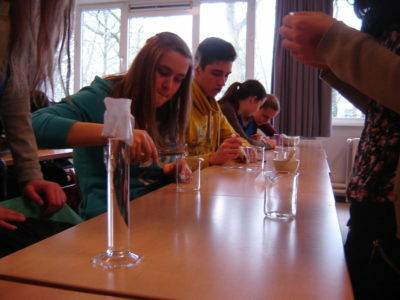 During the exchanges, special natural science workshops were organised. In addition, the participating students also visited several institutions involved in natural science or environmental protection and became familiar with natural and cultural heritage of their host country. International teachers’ meetings were held to plan and evaluate exchanges and other project-related activities and to prepare everything necessary for the publication of the brochure. The project and its outcomes were presented on three occasions. On 2 June 2016, we organised a seminar for natural science teachers and lab workers at the Diocesan Classical Gymnasium. At the beginning, the project coordinator gave a presentation about the project and the brochure. The presentation was followed by three different workshops, where some experiments from the brochure were conducted. 19 high school teachers attended the seminar. 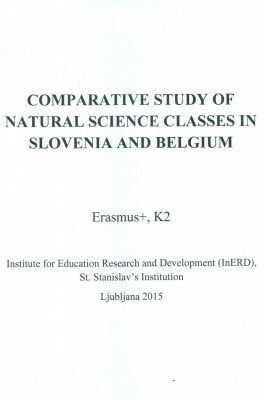 The second presentation followed on 2 September 2016 at the National Education Institute Slovenia as part of a seminar for natural science and maths teachers. The third presentation entitled Student Exchanges as an Opportunity for Natural Science Open Learning was held at the international conference SIRikt on 6 October 2016. In addition, an article about the project was published in two local newspapers.